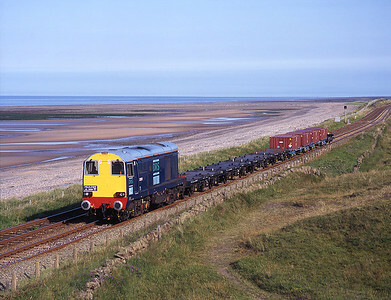 This was I think the first DRS worked train to Ramsden Dock; 20301 + 20302 pass Kirkby on 15/7/96. 20302+20304 head the Crewe bound flasks at Eskmeals 8/5/13. Only a few minutes after a downpour 20309 + 20308 head the return Cheshire Cat railtour to Stratford upon Avon near Askam 7/7/12. 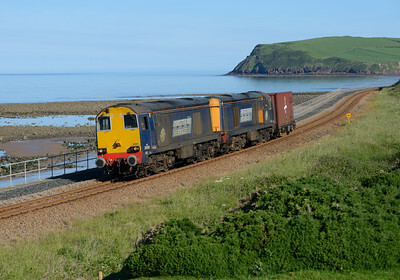 20305 + 20309 haul the Berkeley box south of St Bees 23/6/15. 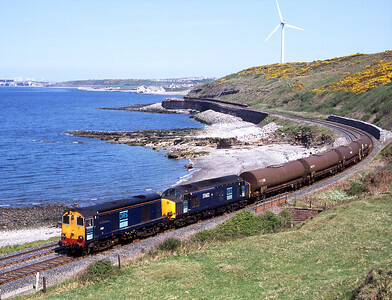 20303 & 20302 top and tail the Heysham flask near Bootle 29/8/07. 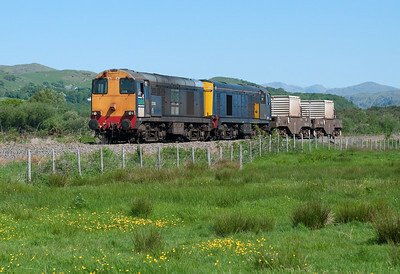 20303+20304 pass Green Road with a late running flask train 26/5/12. 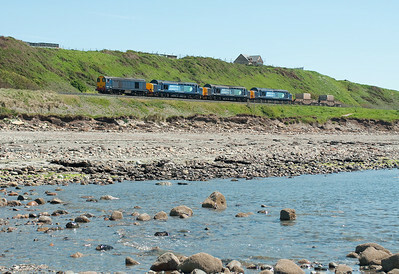 As the tide comes in on a scorching hot day 20302 hauls 37259 + 37688 + 37612 and 2 flasks northbound near Harrington 26/5/12. 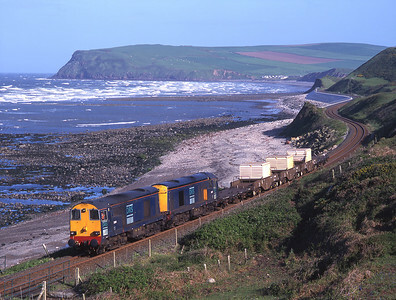 Solo 20301 worked the Drigg trip past Seascale on 8/7/97. 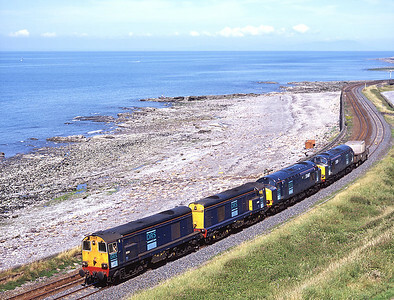 The return Pathfinder's "Cumbrian Coaster" tour on 1/6/96 passes Nethertown hauled by 20303 + 20301 + 20302. 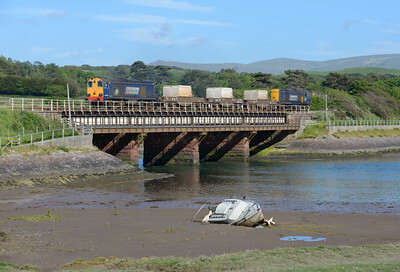 With DRS strapped for power 20305 was the only loco available for the Drigg trip seen at Seascale 11/6/15. 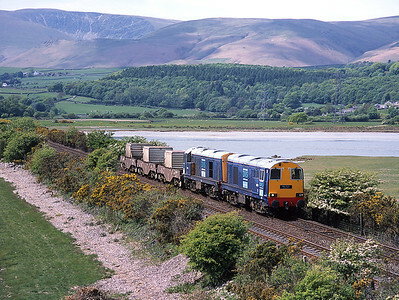 20302 heads the Runcorn Folly Lane-Sellafield tanks over the river Mite at Ravenglass with 20303 on the rear 4/5/04. 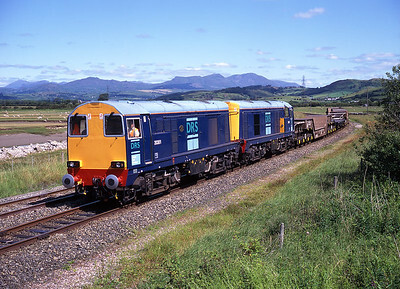 20301+20303 approach Sellafield with flasks from the north 1/7/00. 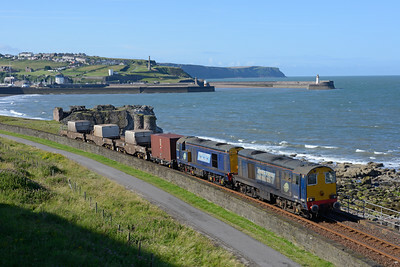 20305+20308 pass Redness Point with a Sellafield-Crewe working 1/8/15. 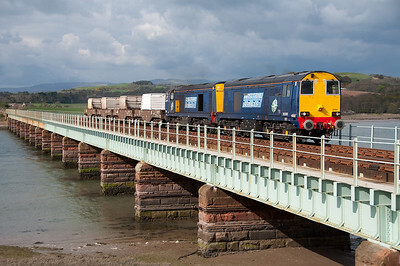 20309 hauls the flasks from Heysham over the Mite viaduct with 20305 on the rear 23/6/15. 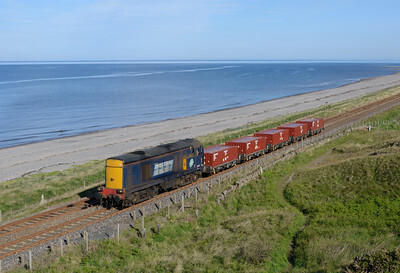 20305 hauls the Heysham flasks near Silecroft with 20309 on the rear 23/6/15. 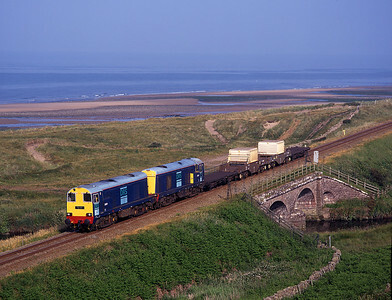 20903+20904 pass Nethertown with chemical tanks bound for Sellafield 1/2/03. 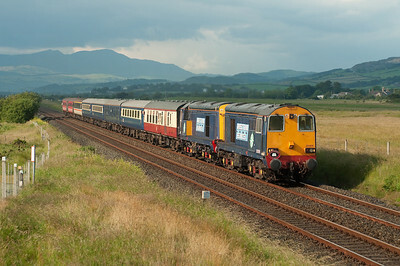 20314+20308 haul 37607+37059 and 1 flask south of Parton 15/7/06. 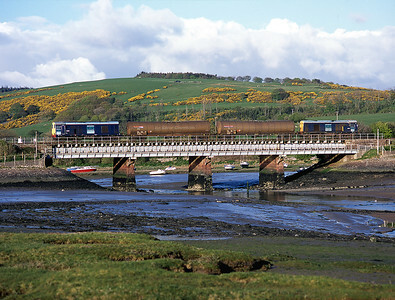 20906+20904 haul 3 tanks over the river Mite at low tide 30/5/00. 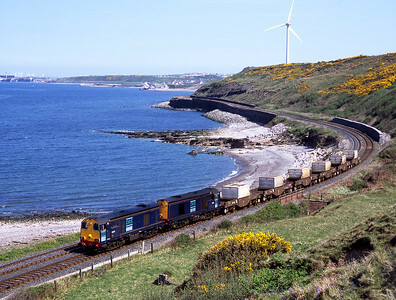 20301+20302 head the Heysham flasks near Foxfield 15/5/03. 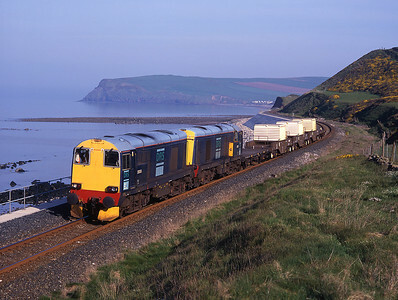 20301+20303 head south from St Bees with a short train to Sellafield 15/7/00. 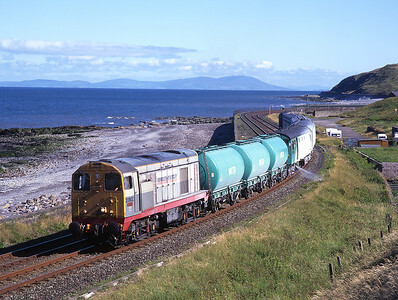 20311 + 37602 haul Sellafield bound chemical tanks at Lowca 10/5/06. 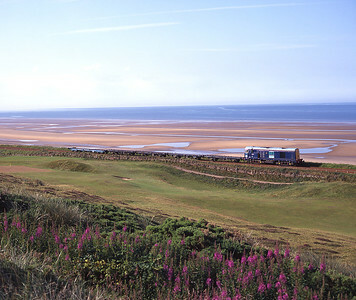 It doesn't get much better than this - bluebells, gorse, blue sea, blue sky and a pair of 20s on a (relatively) big flask train. 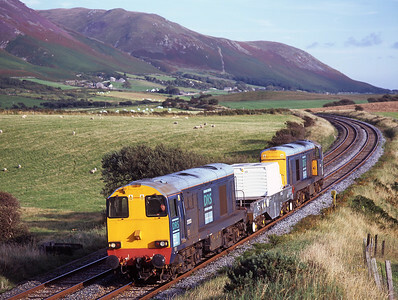 20307 + 20313 pass Lowca 10/5/06. 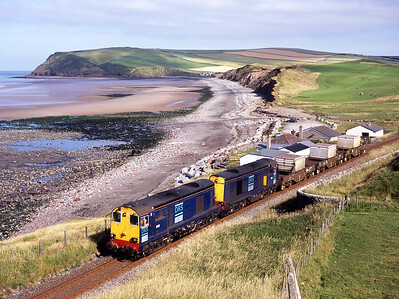 20312+20313 haul Saturday morning flasks at St.Bees 15/7/06. 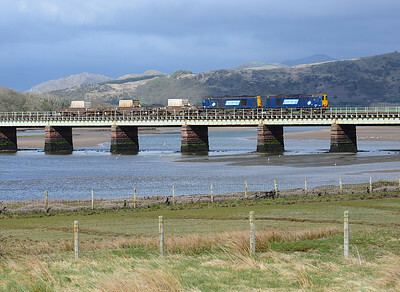 20305+20301 rattle across Eskmeals viaduct with Crewe bound flasks 3/5/10. 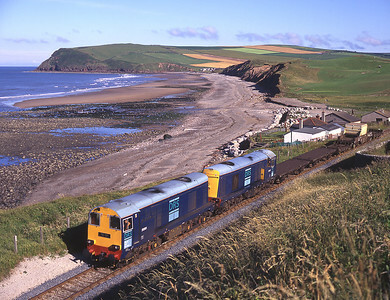 Snowplough fitted 20305 is paired with 20303 on an unusually calm morning near St Bees 28/4/99. 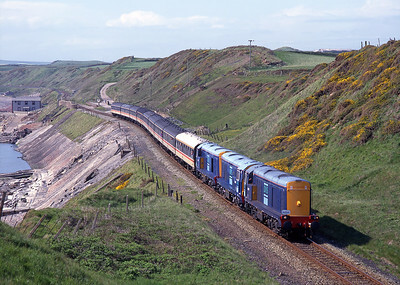 Running nose leading, 20301 returns empty flats from Drigg past Seascale golf course 8/7/97. 20902 and 20903 top and tail the weedkiller train at Parton 15/7/96.